I find it more and more difficult to find Ricola with sugar. I don’t like artificial sweeteners. In addition, there is research that they don’t help lose weight, and they don’t satisfy food cravings, and only teach us to like sweet food*. And frankly? I don’t see what’s so bad about sugar. Granted it’s bad for the teeth, but calories? The bulk don’t necessarily come from sugar. For example: 18 gr of white sugar has 70 calories (from google). An 18 gr mini mars bar has 99 calories > 18 gr of sugar (written on the pack of mini mars bars). So the other stuff they’re adding has more calories than sugar. I don’t know what it is, but I haven’t been able to eat a mars bar since I realized this. Or Twix, which used to be my favorite 😕 Sugar just gets all the blame. 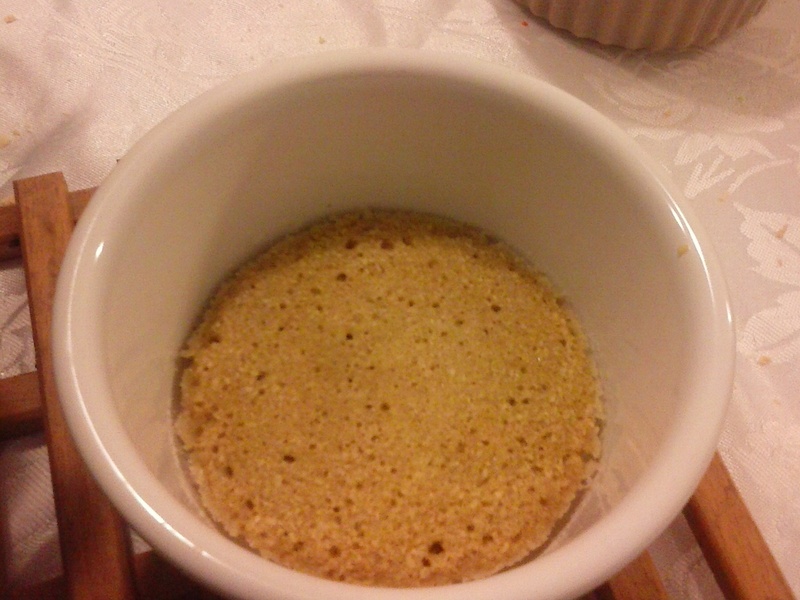 So I prefer stuff with sugar, I just put less of it (and I use brown sugar, but that doesn’t affect the calories). I always put less sugar than the recipe states, I find it sweet enough. I never add sugar to breakfast cereals, they have more than enough. And I stay away from artificial sweeteners. This is getting difficult, especially with gluten-free foods, many of which are also sugar free. I don’t mind honey, dates and apple juice; just leave the sucralose, aspartame and acesulfame K out, please. May you have a sweet weekend! Do you eat sugar or artificial sweeteners? Why? *Take note that these are actual scientific papers, not screaming headlines in tabloids. Be careful what you read, and always check their references. Especially on the Net. I started following Foodie Fiasco, a) because of the gluten free recipes and b) because she makes me laugh. So after 5 (6? 10?) 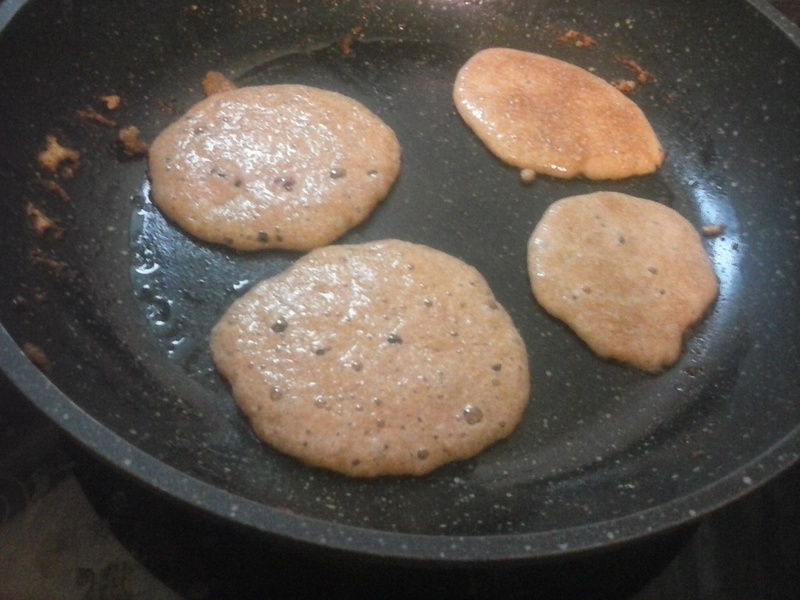 failed tries to make tasty gluten free pancakes, I had a Duh! moment and searched there. I wasn’t disappointed, there is a recipe for coconut flour pancakes that is the favorite recipe on her blog! With snow expected and school canceled, it was the perfect time to try it. I blitzed some coconut flakes in the coffee grinder (I use it for nuts and spices only, I hate coffee) to make coconut flour and tried. I took to heart the warnings that coconut flour made from coconut flakes absorbs less moisture than coconut flour, and put only part of the liquids. Obviously, making for my family, I quadrupled the recipe (3 pancakes? What would I do with three pancakes?). I put the original amount of liquids, not really wanting to put 8 eggs in the recipe, and mixed and mixed and mixed and… you get the idea. 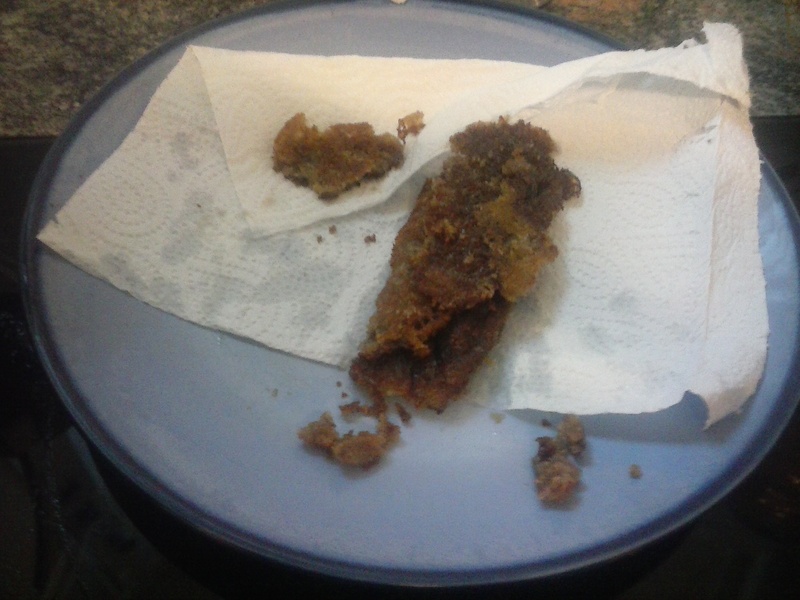 After also letting it rest during three games of TAKI with my eldest and mixing again, I got something close to the consistency recommended (still rather liquid) and started frying. It was too liquid, couldn’t be flipped over easily, but I managed. And then my eldest and I taste tested it, and the result was an ultimate hands down.It had a very bitter taste. We diagnosed the baking soda as the culprit – maybe it was spoiled? Too old? I was ready to give up but my son convinced me to try again. With the 1/4 cup ground coconut flakes I had left I tried another batch, and because of the flipping problem I put tablespoonfuls in small ceramic dishes and microwaved for a minute. Mix everything together for at least 2 minutes. Consistency should be thick enough that if you run a spoon through it it leaves a line and you can see the dough moving back. 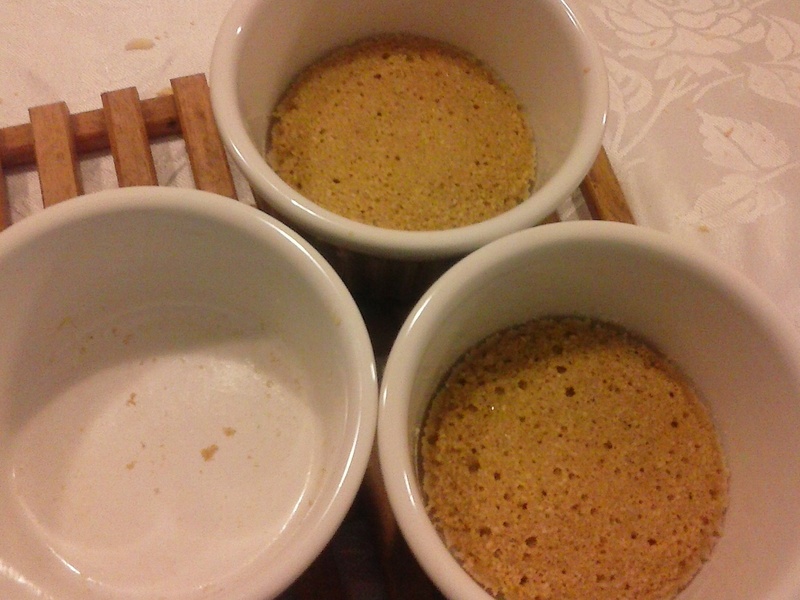 Put one tbsp in a small bowl (I used creme brulee dishes), spread so it covers the bottom, and microwave for 1 minute. you can put a few at once for more minutes, i.e. 3 bowls for 3 minutes. Let cool and eat with a spoon! It’s 1171. Children have gone missing in Cambridge, brutally murdered. As the first was around Easter, of course the Jews get blamed for it and are put in hiding for protection. Someone turns to the King of Sicily for help, who sends Simon of Naples, a noted problem fixer, along with a pathologist (a new and little known profession) to the said village to clear up the problem. But the pathologist is … a woman. Apparently, in Salerno in 1171 women are allowed to learn medicine, and people of all races and status associate together for the betterment of study and knowledge. Right. In addition, Simon of Naples is a Jew, and they are accompanied by Mansur, a Muslim, black euneuch. Really? 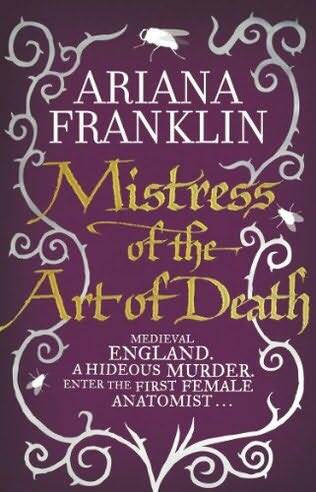 Add to that the really annoying stereotype: Our pathologist (Mistress of the Art of Death) is intelligent and female. Therefore, she doesn’t put any effort into her appearance unless forced to, at which point she becomes gorgeous, but this, as she says, is not important. Now I have recently discovered that the trouble to put clothes that fit properly and put some jewelery in the morning takes up, oh, maybe 5 minutes (and some money, but that isn’t her problem, as she is also rich). However, as she is intelligent of course she can’t trouble to make herself attractive (or for that matter, even bother to learn how to talk to people). Because all intelligent women are sexless robots (until “woken” by the right man, of course). The villain was never really figured out, more just…drifted into. Add to that a lot of explicitly detailed descriptions of violence, specifically towards children (which maybe moved the plot?) and grownups (which certainly didn’t), and this book really annoyed me. I admit it; I like Nora Roberts novels. Even though the plot is usually predictable, and her supense novels rarely hold water. But a book that stretches belief, brings you to an age known as the “dark ages”, panders to stereotypes (because they were true then… weren’t they? /sarcasm), has absurd notions of romance and is also full of mindless violence? No thanks. I’d give this 0, but as I still couldn’t put the book down it gets 1 star.